Be Connected. Unite your life. You put your heart into your ride, so we put ours into the system that fills it. Just plugin your smartphone and drive. 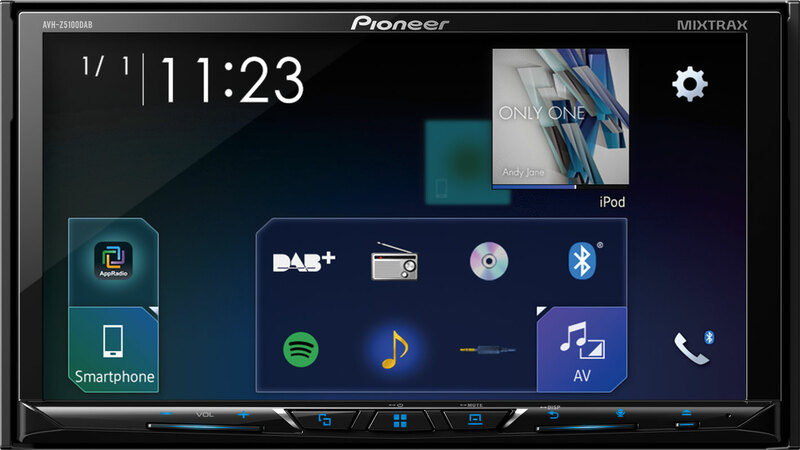 Like a reliable friend, a Pioneer’s new Z-Series multimedia system are there whenever you need them. 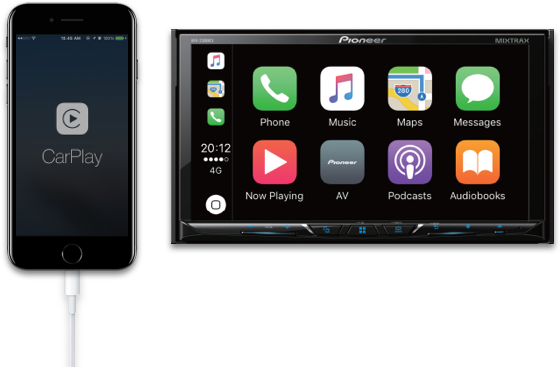 Just connect your smartphone with a new AVH-Z Series to access Apple CarPlay™, Android Auto™ and other navigation features such as Waze™. 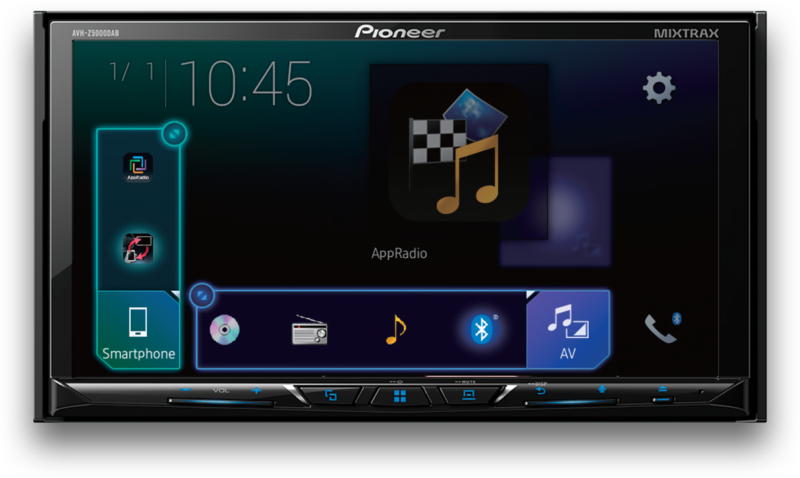 You can also enjoy music and video entertainment available from the smartphone in far greater detail than ever before. 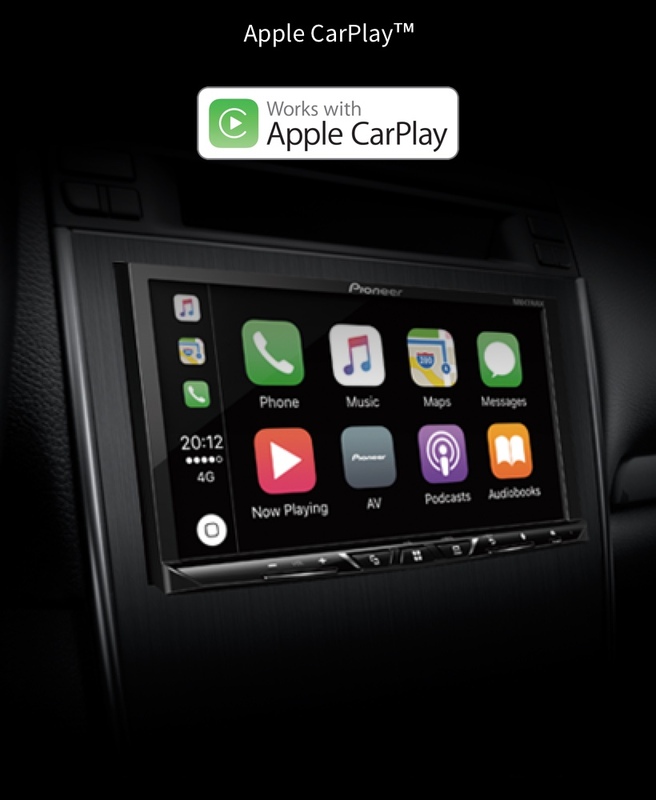 Upgrade your vehicle with Apple CarPlay™ for the best in-car iPhone experience. 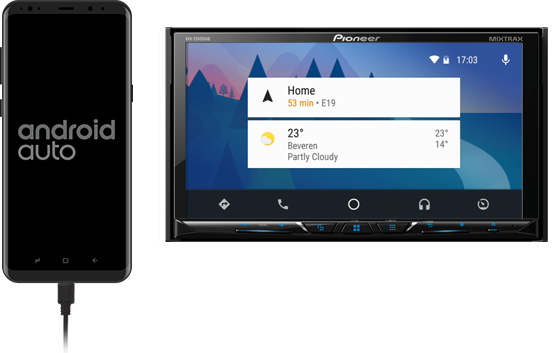 Android Auto™ extends the Android platform into the car in a way that’s purpose-built for driving. With Android Auto you can easily and safely access apps and services in your car. 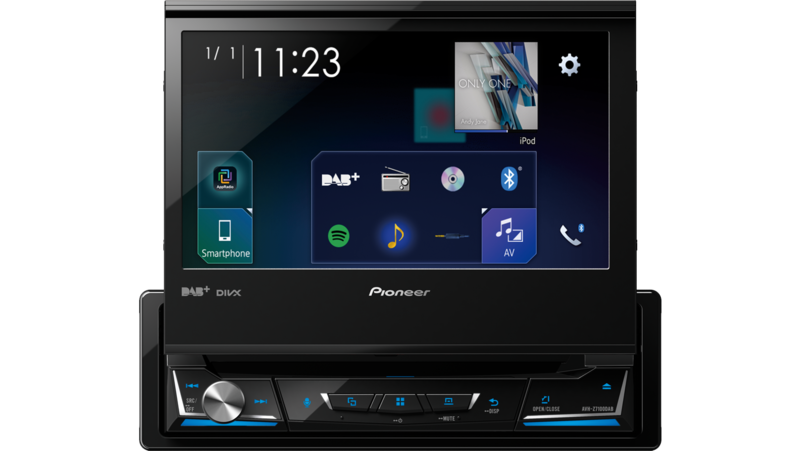 Via the simple and intuitive interface or voice commands you can browse and stream music or engage Google Maps for navigation and live traffic information without taking your eyes off the road. 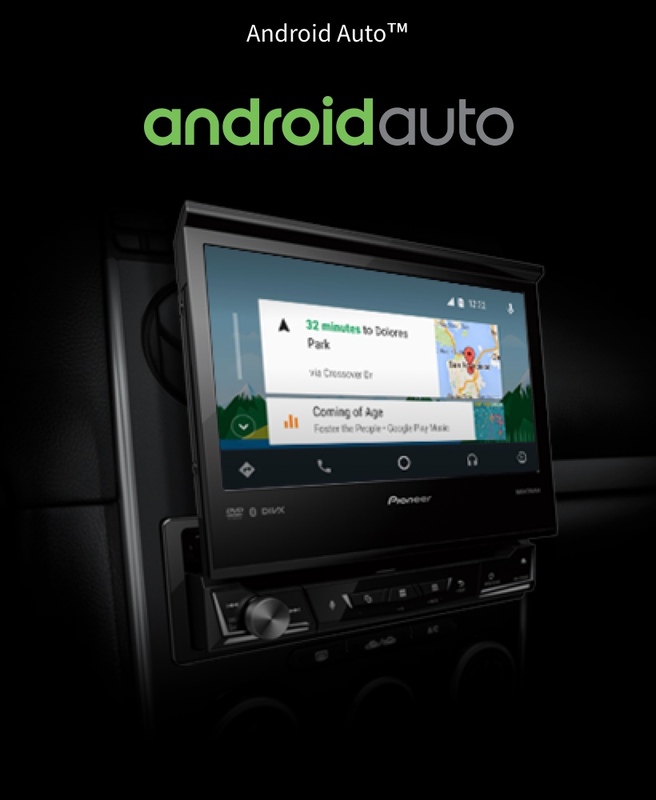 (Availability of Android Auto may vary depending upon your country and phone model. Please visit android.com/auto for more information). Navigating through our all-new interface is simple and easy. As it should be. 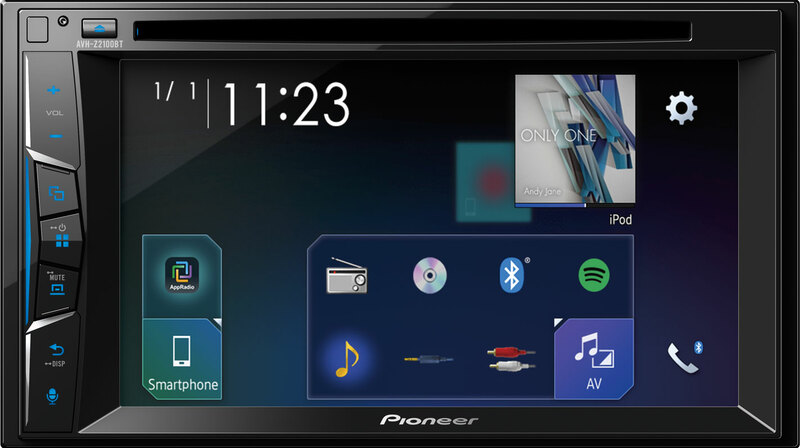 Applying its considerable knowledge to make receiver operation as easy and safe as it should be in a car, Pioneer designed a new Graphical User Interface (GUI) that provides more functional control without complication, prioritising ease of use for both drivers and passengers. Allow us to get really geeky about sound and video for a second. It is our passion after all. 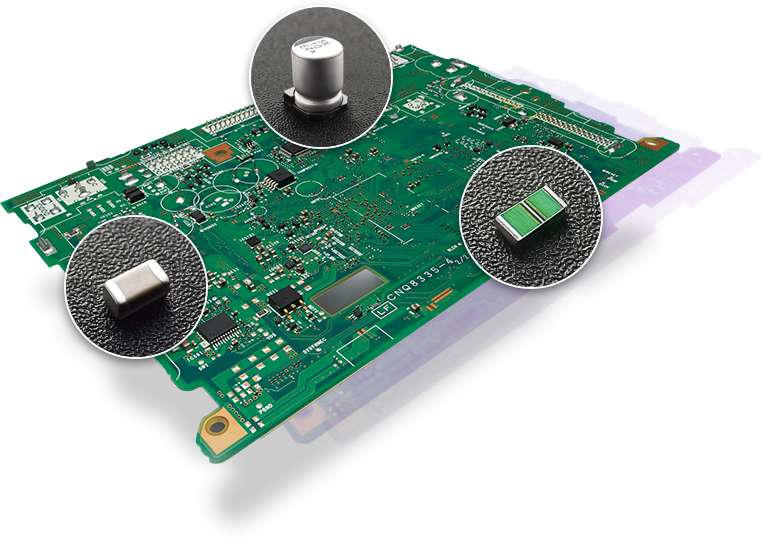 To refine sound quality, Pioneer’s experienced sound engineers thoroughly re-examined circuit board design, and stringently selected component parts accordingly, engaged in endless listening tests, and tuned what they heard in exhaustive detail. 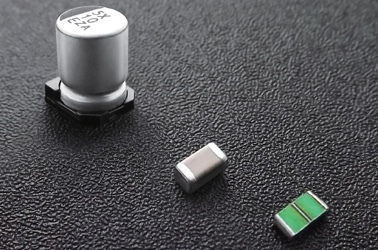 The result is high-end sound quality without compromise. 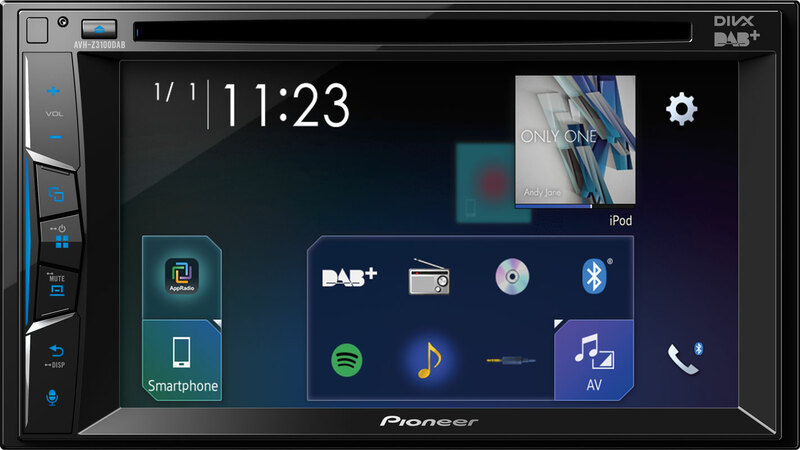 These new AVH Z-Series multimedia receivers are also capable of colourful, sharp Full HD playback of video files from USB devices on a brilliant 24-bit True Colour Panel. The unprecedented sound quality of new AV receivers required Pioneer’s professional sound engineers to refine audio circuit boards and parts, and tune every sound to perfection. The new Pioneer AV receivers reproduce high-resolution images with greater range, smoother gradations and richer tones of colour than ever before. New AV receivers can play Full HD (1080p) video from files encoded in various digital formats that are stored in your easy-to-connect USB devices. We can suggest you a model that best fits your needs. Just answer the questions et voila: your perfect AV receiver! 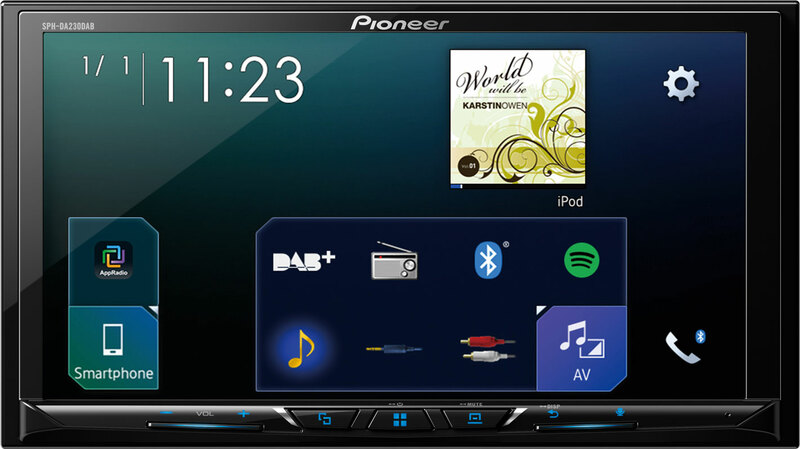 Do you wish to have DAB/DAB+ Digital Radio in your car? Do you wish to play CD’s or DVD’s in your car? Which size would fit in your car? For availability in your country, please visit apple.com/ios/carplay. Availability of Android Auto may vary depending upon your country and phone model. By signing up you will only receive information on AVH-Z products. 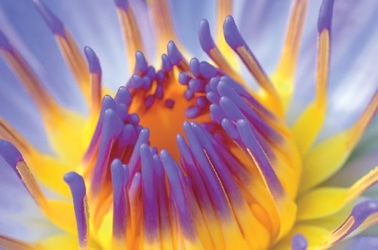 Your e-mail address will not be processed for any other purpose. For availability in your country, please visit apple.com/ios/carplay. Availability of Android Auto may vary depending upon your country and phone model. Please visit android.com/auto for more information. Android Auto and Waze are trademarks of Google Inc. An active data connection is required to use the Waze application. Functionality is limited when driving to reduce driver distraction. The parking brake must be engaged to access the keyboard and enter location destinations.